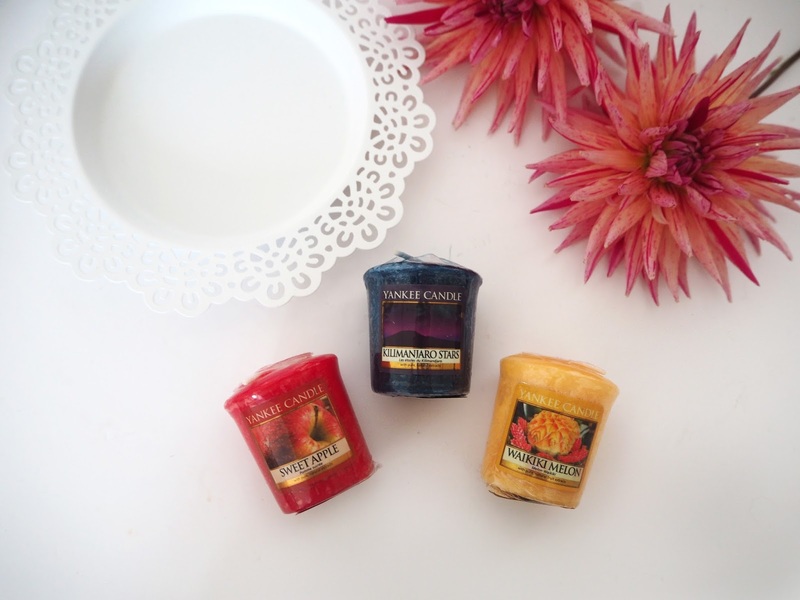 I know how much you guys love my Giveaways and I really enjoy creating them for you so here is a little Autumn Giveaway especially for all of you lovely readers! Body Fantasies Pink Vanilla Kiss Perfume Spray: Pink Vanilla Kiss Fantasy is a feminine, fruity, fun fragrance. Handy sized bottle for a handbag so you can spritz throughout the day and you get over 500 sprays per bottle! Elemis Pro-Radiance Illuminating Flash Balm: I'm including a 15ml Travel Size of this much loved Flash Balm by Elemis. This energising skin radiance balm instantly brightens the complexion revealling a smooth, even complexion and dewy luminosity. Formulated with a powerful vitamin complex that protects against moisture loss, whilst Purple Orchid, Noni and Acai help to defend against the early signs of skin ageing. 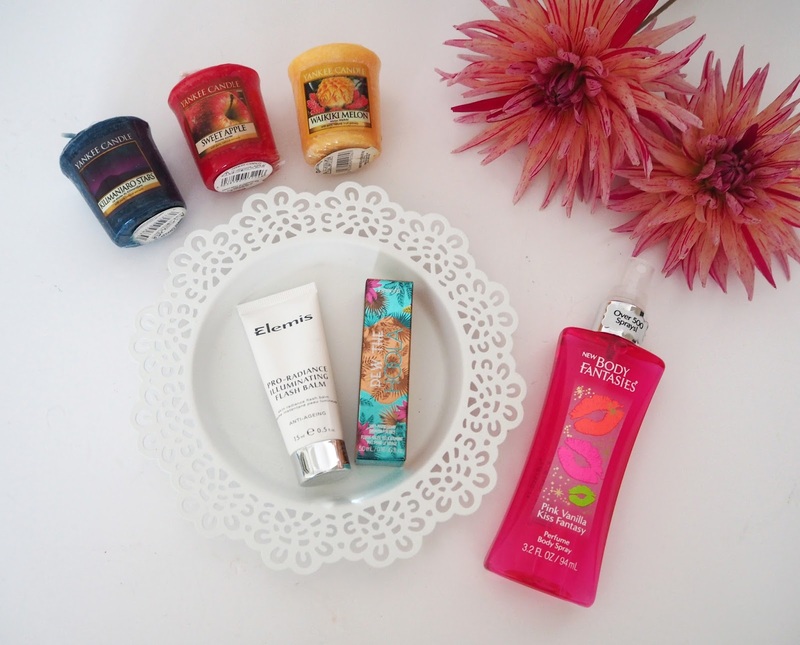 Can be used as a radiance booster, moisturiser and a primer! Benefit Cosmetics Dew The Hoola Bronzer: A brand new launch this year from Benefit Cosmetics! 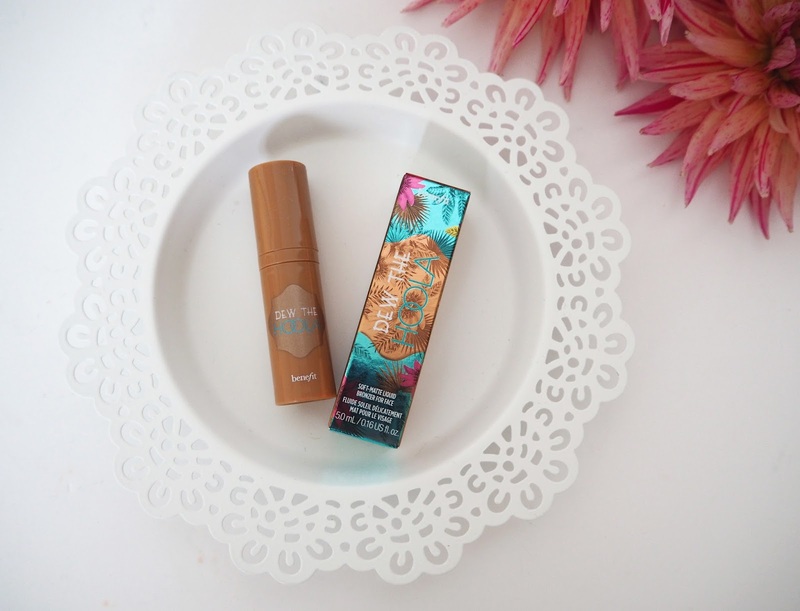 This is liquid version of their famous powder Hoola bronzer. I'm giving away this 5ml Travel Size! It gives your face a year-round glow without the gleam. The smoothing effects and lightweight texture melt in for a shimmerless, natural look that’s so sheer, it’ll have you saying hoola-la! 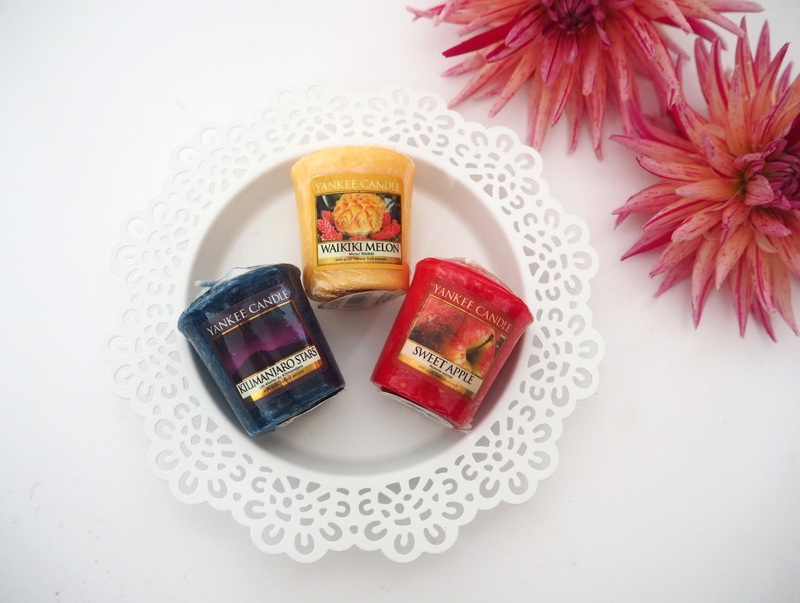 Three Yankee Candle Votives: Three votive candles in different fragrances (remember to burn them in a holder!). Sweet Apple: "So vividly real you can almost taste the unmistakable crunch." Wakiki Melon: "Smooth and refreshing ... the creamy richness of vanilla with sweet cane sugar and a zesty lime twist." Kilamanjaro Stars: "Pure contentment… indulge yourself in this creamy smooth scent with hints of beautiful fruit blossoms." All you have to do to enter is to scroll down to the bottom of the post to find the entry form. There you will gain entries for following, liking and subscribing to my various social media channels. However what I would like most of all is for you to leave a comment telling me what kind of blog you would like me to do in the lead up to Christmas this year! For example ~ Christmas Gift Guides, My Own Christmas Wishlist, Christmas Baking Ideas, Festive Outfits, Christmas Make Up Looks…etc! I’d really love to know your thoughts. For this you will gain 4 bonus competition entries. My giveaway is open from 11th of October - 1st of November 2016. Entries will be verified and then the winner will be selected on the 2nd of November and contacted via email. If however the winner does not reply within 3 days it will be considered unclaimed and a new winner will be selected. Anyone is eligible to enter this is a worldwide giveaway. Such a lovely thing to do! (Also I've been fascinated by the kilamanjaro stars candle, I couldn't work out what it would be like) The bronzed also sounds amazing! Christmas Baking Ideas and ideas for Christmas Gifts! 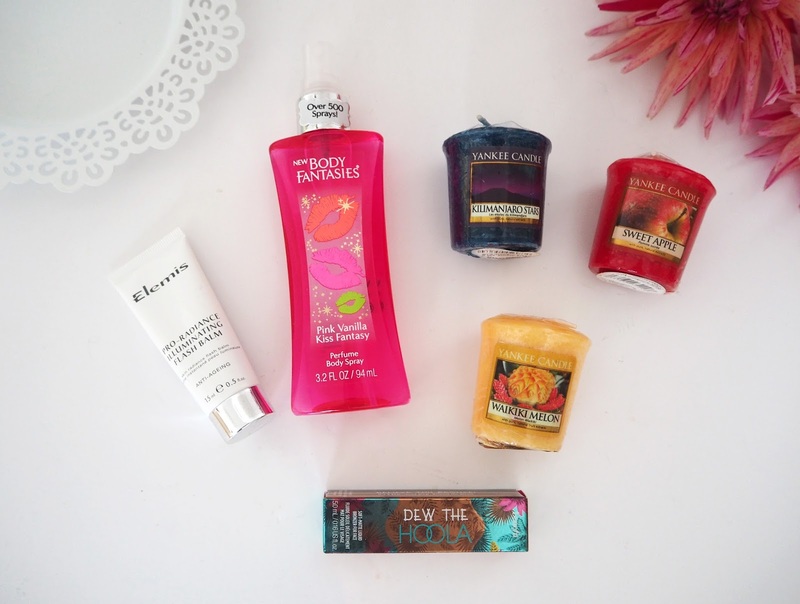 you should do gifts ideas post for especially girls. Christmas make-up look would be great!